If you are one that frequently sports sandals, you probably pay close attention	to the appearance of your feet. Even if you aren’t one to wear sandals,	toe-nail fungus can be unsightly, embarrassing, and at times even painful. Fortunately, toe-nail fungus isn’t something you have to live with	forever. 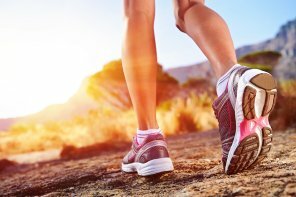 Call Advanced Foot and Ankle Specialists of Houston and get that	toe-nail fungus removed for good. Our Sugar Land podiatrists offer a wide	range of treatments for toe-nail fungus. Also called onychomycosis, toenail fungus can cause a range of problems	if left unaddressed. If you suspect that you have toenail fungus, a foot	doctor can help you avoid the following. Unsightly Nails: The most obvious effect of toenail fungus is the discoloration it causes. Fungus can also affect the shape and thickness of your toenails. Foot Odor: As your fungus spreads, you may notice an unusual odor of decay coming	from your feet. Foot Pain: Fungus causes the toenails to thicken, which can in turn lead to ingrown	nails. In severe cases, pain caused by fungus can make it difficult to walk. People with diabetes and circulatory diseases suffer the highest risk of	toenail fungus. However, toenail fungus can affect anyone. Wear Shower Sandals: People often pick up fungus near swimming pools, locker rooms, and other	wet, public places. When visiting these places, remember to wear shower shoes. Keep Feet Dry and Clean: Be sure to thoroughly clean your feet when showering, and remember to change	your socks at least once a day. Choose Breathable Footwear: Toenail fungus thrives in warm, damp environments. You can reduce the likelihood	of toenail fungus taking hold by wearing breathable socks and shoes. There are several techniques that foot doctors use to treat toenail fungus. One of the safest and most effective treatments involves a sophisticated	laser. During treatment, your foot doctor shines a laser straight through	your toenail, eliminating the fungus beneath. Toenail fungus laser treatment	has become very popular in recent years, and is completely painless. It	also boasts an impressive cure rate of 88% and has no adverse effects. The foot doctors at Advanced Foot & Ankle Specialists are proud to	provide Houston-area residents with laser treatment for foot fungus. If	you suspect that you have foot fungus, have one of our toe fungus doctors	take a look.